AutoEmag brings you the latest Honda Bike Price in Nepal here along with their key specs. The CB Hornet 160R is easily the best looking bike in its segment. With its macho look, which Honda was able to achieve by using bulky body panels, especially the fuel tank. The new CB Unicorn is identical to the older model. The conservative looks of the motorcycle are brought out by the simple and clean decal-free bodywork. The Honda Dio is one of the famous scooters in Nepal.Known for its mileage and pick up the scooter has own many hearts. Honda Aviator is a has four stroke single cylinder engine.It has a slogan ‘Live your style’ which perfectly matches its stylish look. 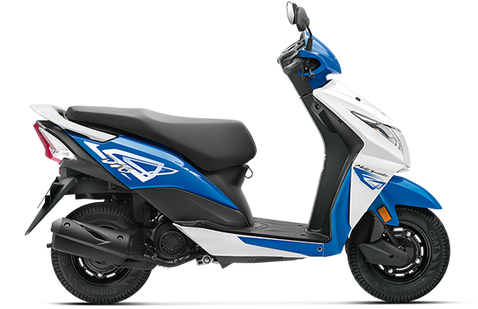 Navi is the popular model in the 110cc segment-Honda Activa. To reinforce its funky character, Honda has added a number of new elements to it like the tall handlebar, the edgy fuel tank cover, bold headlight etc. The XR150L is powerful, durable, reliable and safe with comfortable suspension and a high-performance 150cc engine. It is one of the most reliable motorcycles around its price tag. Honda CD 110 Dream Deluxe has been a popular seller for the bike maker. With the self-start option, buyers get many convenient features. Honda CRF 250 L combines a high-efficiency fuel-injected single-cylinder engine, that features an electric starter, double-overhead cams, and a counterbalancer. With a 125cc Honda engine at its heart, 3D emblem, metal body, digital meter and telescopic suspension – Activa 125 allows you to step up, that too in style. It is a Light-weight stylish bike known for its outstanding performance. The CB Shine gets some nice graphics that can be seen running all over the fuel tank and a 3D Honda emblem on the fuel tank gives it a distinct style. Honda CB Shine has been one of the best and efficient bikes in the 125cc segment. Honda CBR600 RR is a sports bike with new bodywork, fully adjustable inverted front forks, disc brakes with radial-mounted four-piston callipers, and a new aluminium frame, swingarm and rear shock.